Since 2008, ZP PPS (on behalf of spirits manufacturers) has been running social and educational campaigns to address the key problems related to harmful alcohol consumption. 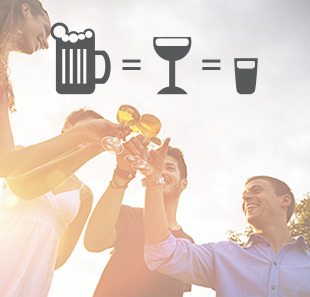 The purpose of the actions is to promote responsible alcohol consumption in Poland. This includes promoting complete abstinence in situations where alcohol consumption may be dangerous to life or health. Detailed information on the specific actions and their impact is available in the SOCIAL REPORTS of the spirits industry. Objective: to build awareness of the equivalence of all alcoholic beverages and responsible consumption. Partners: Campaign under the patronage of Medical University of Warsaw, Medical University of Silesia, Water Volunteer Ambulance Service, Polish Association of Emergency Nursing, Polish Chamber of Commerce, Polish Trade and Distribution Organization, Polish Chamber of Commerce, KRZYŚ Foundation, Polish Association of Students and Graduates of Psychology and the President of Gdańsk, President of Gdynia, President of Katowice. Media partners: Polska The Times, Practical Medicine (mp.pl) i WP.pl Abc Health. Campaign is planned for 3 years. 20 % of respondents in evaluation study after 2 years of operation declared that they had a contact with the campaign, 77% rated it positively and 78% agreed that this kind of educational campaigns are necessary. Summarizing the activities in all communication channels, in 2017 campaign messages reached over 8 million people. Objective: to reduce the availability of alcoholic beverages to underage youth. Retailers from all over Poland are invited to participate in the campaign. By joining this action sellers commit to reliable control of IDs of young people and not selling alcohol to minors. Partners: Polish Chamber of Commerce and the Polish Organization of Trade and Distribution, as well as retail networks: Kaufland, Gama, Rabat Detal, SPAR. The campaign was organized under the patronage of the Minister of Economy and the Chief Commander of the Police. 6 428 points of sale joined the campaign so far. On the campaign website there is „Map of responsible shops in Poland” presenting participating points of sale. The map up to date. HAVE YOU BEEN DRINKING? DON’T DRIVE! Objective: to draw the attention of both drivers and passengers to the need for sobriety while driving, and to highlight the tragic consequences of driving under the influence of alcohol. The campaign consisted of preventive street-work actions in clubs and discos as well as a media campaign. Partners: Ministry of Internal Affairs, Polish Police Headquarters, Automobile Transport Institute, Polish Automotive Association, Krzyś Foundation, Polish Chamber of Liquid Fuels, Polish Organization of the Oil Industry and Commerce, BP, LOTOS. Campaign carried out as a part of the government programme “Safer together”. Objective: to educate women and medical professionals about the negative effects of alcohol consumption while pregnant, noting that any amount of alcohol may cause damage to the foetus. Partners: Polish Gynaecological Association, Polish Midwives Association, Enel-med, Polanica Zdrój Specialist Medical Centre, SuperMama Antenatal School. Media partners:Będę Mamą, Mamo To Ja, M jak Mama, Magazyn Pielęgniarek i Położnych, Magazyn Położna. Nauka i Praktyka, babyboom.pl, babyonline.pl, mjamama24.pl. In 2012, the campaign reached 220 000 pregnant women. Objective: to promote a safe and healthy lifestyle among the youth; to promote a substance-free lifestyle. Together with Polish Police Headquarters, ZP PPS produced a prevention-focused video House Party (Domówka), intended for teenagers aged 14-17 (junior high school age). The video was accompanied by a lesson plan with scripts for the teacher. The video along with the lesson plan were disseminated among schools and police units nationwide. They have been used by police officers, municipal police staff, teachers, and NGOs. The video was made as a part of a programme called Crime Prevention, Protection of Safety of Citizens, and Protection of the Public Order for the Capital City of Warsaw 2012–2014 (Safe Warsaw). Objective: to raise the social awareness of the risks connected with consumption of alcohol from unknown sources. The campaign was also designed to teach the public how to recognize illegal products. It was carried out in 2013 in the three voivodeships where the risk associated with of these problems is the highest. The target group was: persons aged 40+, earning less that PLN 2500 per month, residing in smaller towns and villages. The educational efforts of ZP PPS also include a set of guidelines for retailers, educating them about responsible alcohol sales and service and providing recommendations with regard to training sales assistants who handle alcohol sales.